No. 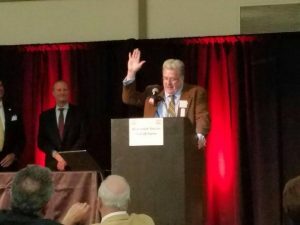 1 RD and seventh-year Wisconsin Lutheran College head women’s soccer coach Tony Pierce was inducted into the Wisconsin Soccer Hall of Fame on Saturday, March 11, 2017. 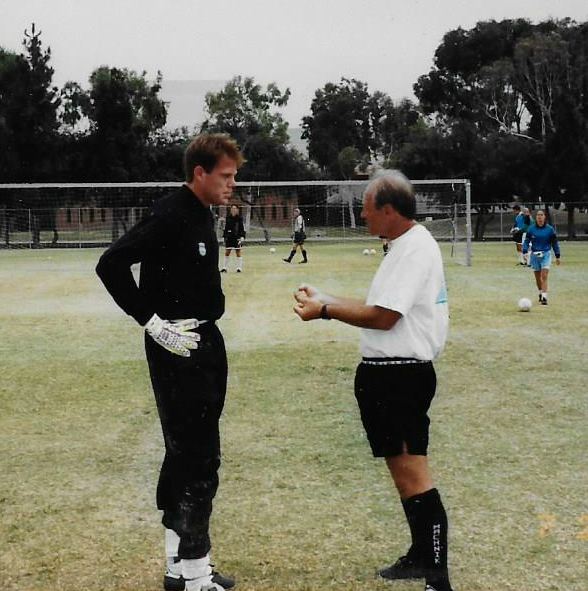 Pierce, a longtime member of the No.1 Soccer Camps family, has coached collegiate soccer for nearly 30 years. One of the winningest goalkeepers in the history of the former National Professional Soccer League (NPSL), Pierce was a goalkeeper for the Milwaukee Wave for eight years and one with the Chicago Power, appearing in 195 games, posting 75 wins and making 2608 saves. 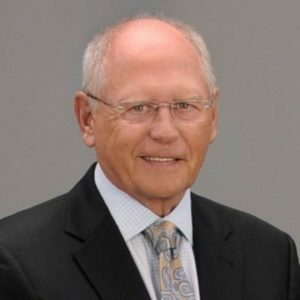 The three-time All-Pro also served as the Wave’s Director of Community Relations for six years. He was inducted into the Milwaukee Wave Hall of Fame in 2010. 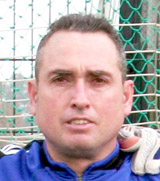 Pierce was a member of the University of Connecticut’s 1981 NCAA Division I Championship soccer squad. He also returned with the Huskies in national semifinal appearances in 1982 and 1983. In 1983 Pierce was a co-captain with Jim D’Orsaneo. Pierce also has one National Team cap versus Portugal for the US Men’s National Futsal Team. No. 1 Soccer Camps at Wayland Academy in Beaver Falls, WI is under the direction of Tony Pierce who has been with No. 1 Soccer Camps for 36 years. This unique specialty camp blends the best of No. 1 Soccer Camps with its partner in Germany the Fussball Ferienschulen. The camp runs July 16-20th. For more information, visit www.No1SoccerCamps.com. 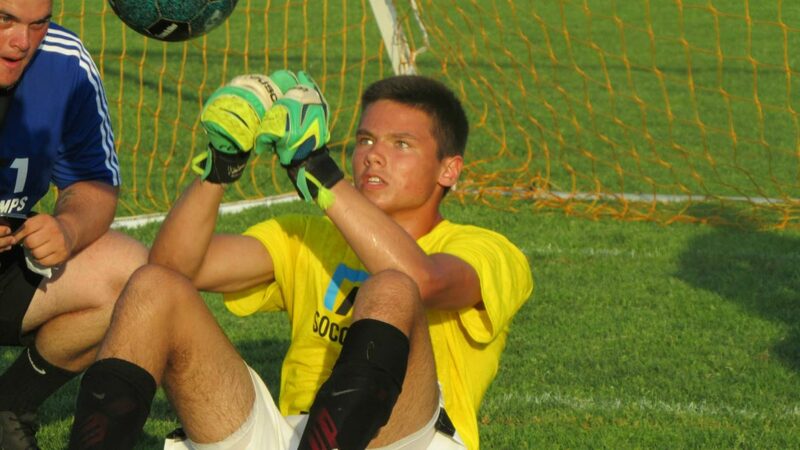 Choosing a summer soccer camp can be a difficult decision. With so many options, how do you know which one is the right fit for your child? No. 1 Soccer Camps Regional Director Christine Huber asks the twelve vital questions parents should pose to potential camps to ensure a rewarding and safe soccer camp experience. 1) How many years has the camp been in the business? Experience matters. While it is not always a guarantee of a superior camp, this can be an excellent indicator of the caliber of the camp experience, its management, and its coaches. No. 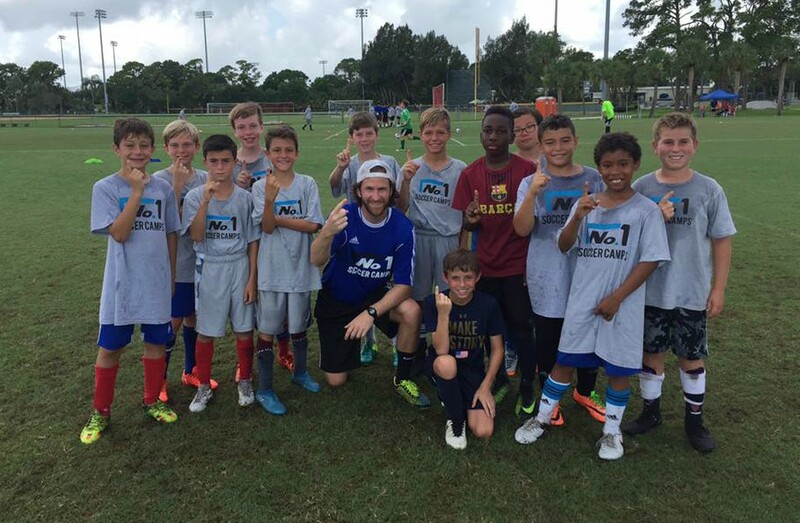 1 Soccer Camps has been in continuous operation for over 40 years. VERY few camps can make this claim, and we are proud of our tradition and history. 2) Is the camp a soccer specific camp or a camp that offers soccer? Which is best for your child? A camp that offers soccer may have different activities and may not be focused on just on soccer. Dances, plays, and skits may be incorporated into the camp day which limits the amount of time spent on soccer. No. 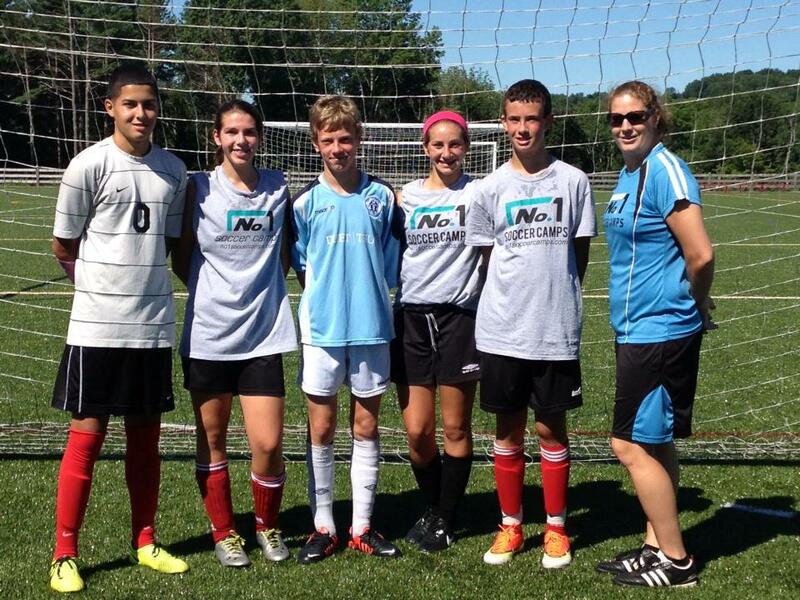 1 Soccer Camps is a specific soccer camp geared towards the player who loves the game. We offer on and off the field soccer specific training, films, and lectures to make sure the camper gets the most comprehensive soccer experience. Each session we see amazing improvements in the campers’ skills in a relatively short amount of time. 3) How does a camp facilitate maximum amount of touches on the ball to foster the most positive results over a short period of time? Many camps play 11 vs 11 games which means some players are only getting a few touches a game. In these camps you will also see drills with long lines and campers waiting to shoot or touch a ball due to limited equipment and staff. With well thought out and designed lesson plans, No. 1 Soccer Camps plays small sided tactical games based on a recently broken down technical skill. This not only increases the amount of touches on the ball but also mentally prepares players for tight situations in the final third of the field. 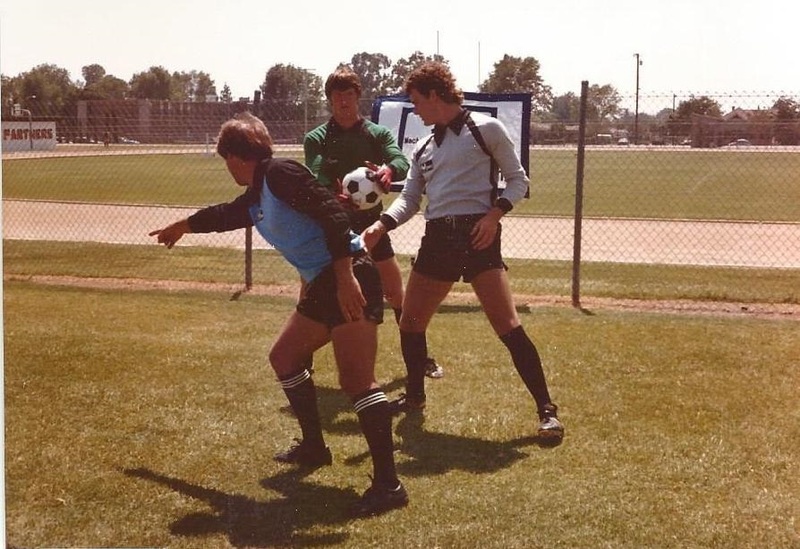 Field players are preparing and taking more shots while goalkeepers continuously have shots coming at them. We bring in full sized official goals to mimic the real game. 4) How does the camp challenge its players? Will the camp allow the player to “play up” if warranted? Every player needs to be challenged physically and mentally in order to improve. A good camp will be flexible enough to adjust to the needs of every camper. During the first session of camp, our staff evaluates the campers and makes any necessary adjustments under the direction of the Camp Director and Striker/ Goalkeeper Director. This ensures each camper receives a tailored experience geared toward his/her current level of play. 5) What is the average number of training hours per day? How many hours of your camper’s day are actually spent working on the field getting better? A good camp like No. 1 Soccer Camps will have perfected the proper balance between training, recovery, and free time. We offer evening lectures, group discussions as well as the on the field training to create a comprehensive program geared to the mental and physical needs of the player. 6) What is the staff to camper ratio? Is it 1:8 or less? This ratio is required legally by many states. A smaller staff to camper ratio will ensure your player receives the individual attention necessary to improve. No. 1 Soccer Camp aims to have a 1:6 or less ratio at all of our locations. 7) How many years has the Camp Director been running the camp and how extensive are the staff coaches backgrounds in coaching younger players? Not all professional coaches are capable of coaching youth players. Your camp director and staff coaches should have many years of experience in the camp industry along with coaching the specific age groups. Our No. 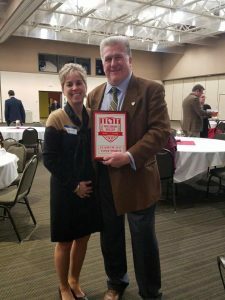 1 Soccer Camps Directors are leaders in the soccer community and have been an integral part of our company for many years. Several are even former campers themselves! Our Staff coaches are selected and matched based on coaching experience with a particular age group in mind for maximum success. 8) Does the camp perform background checks on all staff? Most state legislation requires criminal background checks and SORI checks for ANYBODY around children. Be sure any camp under consideration meets these requirements and thoroughly checks its staff. No. 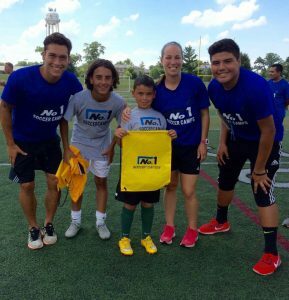 1 Soccer Camps uses a national company to perform background checks on all staff regardless of state requirements. 9) What kind of access do campers have to the camp site’s facilities besides the fields ie. indoor spaces for inclement weather, dorms, cafeterias, pool, lounges etc? The access to and quality of these amenities are important to a camper’s overall experience. No. 1 Soccer Camps chooses its locations based on the excellence of the facilities and the needs of our campers. The quality and stellar reputation of No. 1 Soccer Camps allows us to secure some of the most coveted university and private schools locations in the nation. 10) How is the camp supervised? Do coaches, directors, and medical staff stay on campus? Is there adequate staff coverage in the dorms? Safety is a paramount parental concern and proper staff supervision is necessary to make sure campers are well cared for on and off the pitch. At No. 1 Soccer Camps our directors, coaches and camp nurse are on campus throughout out the day and night to provide supervision and assistance 24 hours a day. 11) How does the camp prepare it’s players for the collegiate experience? Only a few camps address the many issues the college-bound player faces. Collegiate level training, recruitment, and application processes are just a few of the areas our College Showcase ID, College Prep and Sr. Academy programs address both on and off the field. 12) How are players evaluated? Camp is over. Now what? At many camps, once the last session is played, you are on your own. On the final day of No. 1 Soccer Camps, each camper receives a written 75 point evaluation, the most in depth detailed soccer camp evaluation in the industry. Our staff takes great pride in the quality of each camper’s evaluation and the Personal Development Plan which offers a post camp game plan for the further enhancement of each camper’s abilities. Campers and parents have the opportunity to review and discuss the evaluation with the camper’s staff coach at the end of camp creating a positive conclusion to camp’s training. Regional Director Christine Huber has been with No. 1 Soccer Camps since 1996. A former four year starter and Hall of Fame Player for the University of New Haven, Huber is now the head coach at Hamden Hall Country Day School and Assistant Coach at the University of New Haven. The following No. 1 Soccer Camp locations are under her direction: Brewster Academy, Northfield Mount Hermon, Pomfret School, CFC Arena, and Hamden.